Echinochloa crus-galli and Echinochloa colona mostly grown as weeds in different economic crops and cause losses in their yield. Flooding and Crop rotation ca not suppress these weeds. Herbicides are widely applied to control barnyard grasses. Bisbyric-sodium was applied at FRD (Field Recommended Dose) on both species, the results of preliminary experiment indicated that E. crus-galli was susceptible to bispyribac-sodium but E. colona was resistance. 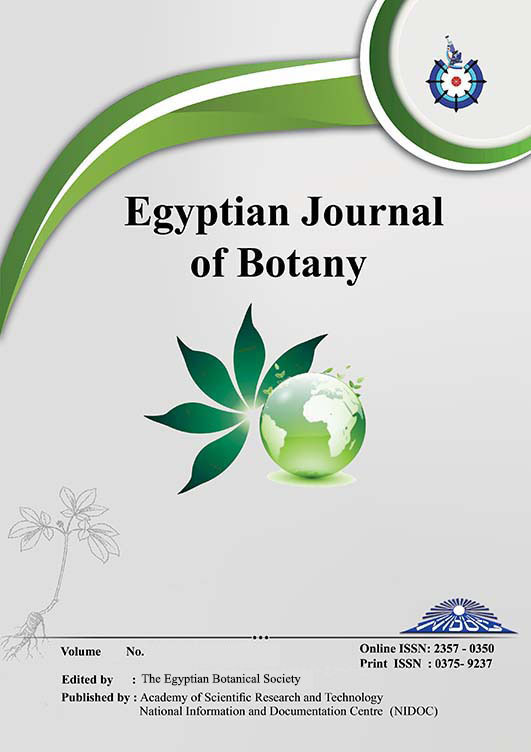 The Confirmation experiment for E. colona resistance indicated that herbicide effect on the biomass of plants which caused reduction in fresh and dry weight. The photosynthetic pigments were affected by herbicide, which decreased by increasing the herbicide concentration. While anthocyanins content were increased to protect the leaves from the stress of photoinhibitory light fluxes by absorbing the excess photons. The soluble and insoluble sugar content was increased by increasing the concentration of herbicide. The transcript level of ALS in E. colona was modified by different concentrations of herbicide. The present study indicated that ALS expression level was responsive to herbicide treatment. This suggests that ALS is a target site of bispyric-sodium. But 50% FRD can be considered as sub-lethal dose which upregulated the expression of ALS by 4 folds.